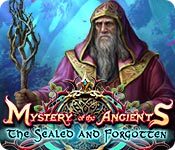 Rated 3 out of 5 by pennmom36 from I Think I'll Just Seal This Game And Forget About It It's time once again to solve a Mystery of the Ancients, the supernatural case of "The Rose Petal Murderer" sounds scary right??? Detective Donovan has asked for your help solving a recent murder, that he believes to be supernatural. The victim's body was found in a room that was locked from the inside, well that's certainly supernatural. The locked room was inside a mansion, the mansion's owner has been out of town and doesn't know the victim, super, supernatural. The victim has been adorned with beautiful and aromatic pink rose petals, extremely supernatural. There seems to be no evidence left behind, even when examined using a sophisticated black light, finally a clue that could be viewed as supernatural, if you dig really deep! Moving along at a snail's pace in this investigation, agent Donovan has proven to be a large bag of luggage, because he's totally worthless in this case, but you hang on to him just in case you need that bulky luggage later. He loves barking out orders too and it's really annoying, "I'll stay here and try to open the door" says he. Whilst I'm off doing all the legwork, Donovan hasn't lifted a finger, he hasn't even turned around to face the door! Eventually, you and agent Donovan are separated (phew, I really needed a break from him) and you discover a walking Tree Stump child, At this point, the demo is winding down and it's the first actual supernatural feature in the entire game! Am I surprised? Am I speechless? After all, it's not everyday that you encounter a living, breathing, tree limb with arms, legs and eyeballs right? Apparently I have met one of these freaks of nature before, because it doesn't puzzle me in the least bit. In fact, it doesn't even puzzle Donovan when we finally reunite, he isn't the least bit surprised, he doesn't even ask about him, but then again, Donovan is a bit peculiar. Here's the good news about the little tree bud, you can choose to ditch him right off the bat, or you can hang on to him as your little helper without affecting the game's story. (after the demo, I save the little sapling once more, and I am given the opportunity to ditch him once again, maybe I should take a hint here that he's more trouble than he's worth) This guy's pretty good, he is able to go where no tree limb has gone before, he's even willing to drink several potions that nobody knows what it is or even how ancient it must be! In the Collector's Edition version, there are 25 fairly well Hidden Clovers, and 6 Collectible Character Figurines to collect as well as the usual extra's and Achievements to earn. 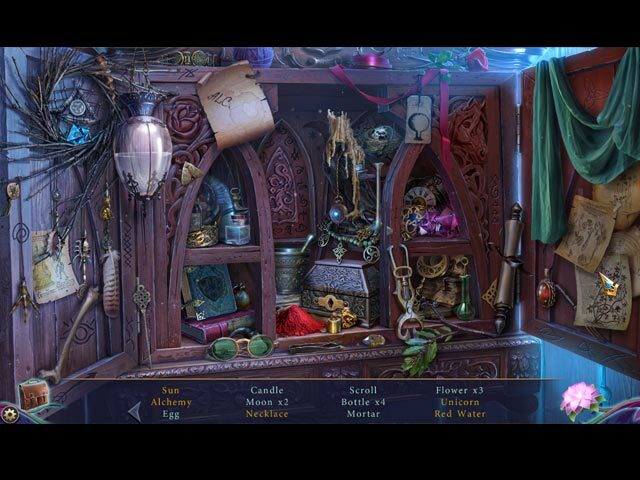 The Hidden Object Scenes aren't bad, but most of the one's offered in the demo are of one type, Progressive, Interactive Silhouetted Shape finds. 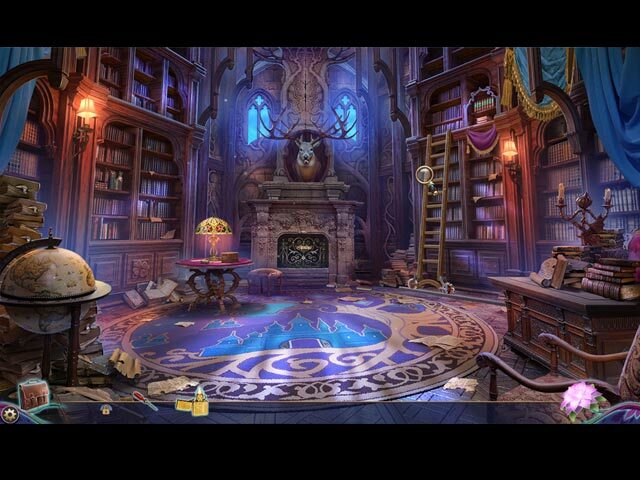 The scenes are clear though and items are recognizable. The Mini Games aren't challenging in the least bit, most could practically be done while blindfolded. Below are brief descriptions of some of the games you'll encounter during the demo: 1) Use the Ultraviolet light to find 8 handprints. 2) return each bust to the correct place according to the clues. 3) Use the clue shown to enter the correct number on phone. 4) Select the correct sections of each multi-layered symbol. 5) Arrange books in the correct order to form a completed picture. 6) Find 4 symbols of one theme to learn more about the story. 7) Restore the murals by placing tokens correctly. 8) Flip over two cards at a time to match images. 9) Use rotation buttons to swap tiles to complete the picture. 10) Activate all 3 levers to open the doors in a "blocks" type game. 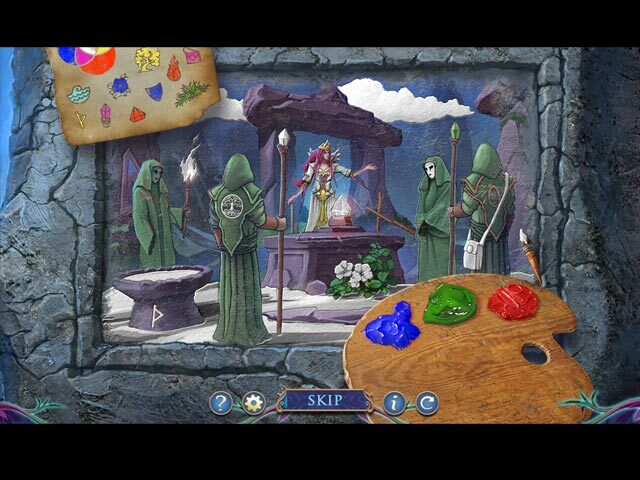 11) Interact with the mural to find 8 hidden tokens. 12) Put all elements in the correct slots. The Collector's Edition has 30 Concept Art pictures, 24 Wallpapers, 6 Music Soundtracks, 24 Fresco puzzle pieces, 8 Achievements, 6 replayable Mini Games, 6 Collectible Character Figurines, 25 Hidden Clovers, 6 replayable Videos, a built in Strategy Guide and a Bonus Adventure, enjoy!